Fukuoka - If it wasn’t already evident, the point was driven home Tuesday night. Kenji Otonari is back and he looks better than ever. Otonari continued his run of lights-out pitching in the postseason, Lee Dae-ho and Seiichi Uchikawa each drove in two runs, and the Fukuoka Softbank Hawks beat the Hanshin Tigers 5-1 in Game 3 of the Japan Series on Tuesday night at Yafuoku Dome. The Hawks lead the best-of-seven series 2-1 and will play the next two contests at home. Game 4 is scheduled for Wednesday at 6:30 p.m.
Otonari grabbed the Tigers by the tail for the entirety of his outing, allowing just three hits over seven shutout innings. He struck out six and walked one. 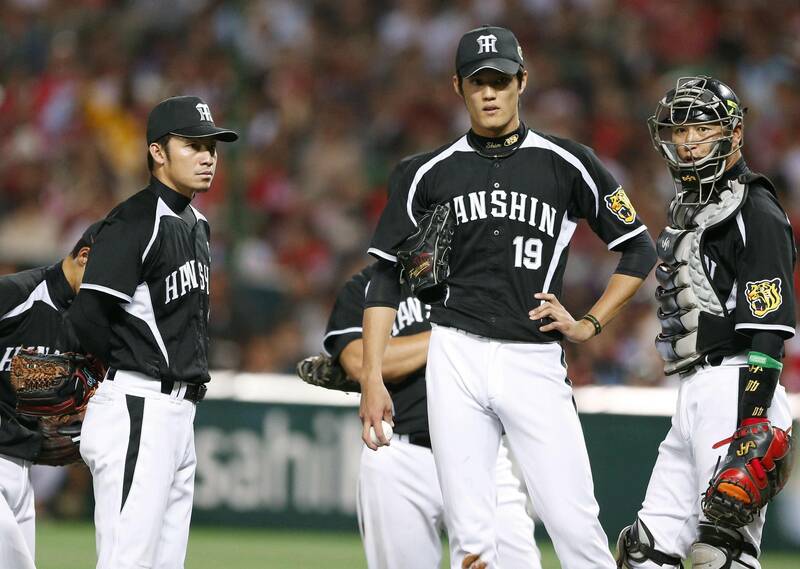 Otonari kept Hanshin off balance with an array of breaking balls, and was especially effective with his change-up, which accounted for six of the 10 swinging strikes he induced. Lee did his part at the plate with two RBIs on a 3-for-5 night. Kenji Akashi and Yuki Yanagita both finished with two hits, while Uchikawa was 1-for-5 with an RBI double. The victory was just the latest stop on what has been a dynamic comeback tour for Otonari, who missed the majority of the 2013 and 2014 seasons due to health issues. 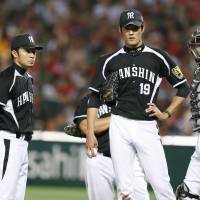 The lefty made just seven appearances last season and underwent surgery for an ossified yellow ligament, the same ailment that took Tohoku Rakuten Golden Eagles manager Senichi Hoshino out of the dugout earlier this season, in June of 2013. He began a long rehab process the next month and made gradual progression until he was able to throw again and ultimately return to the mound in ni-gun contests. He made his 2014 debut as a reliever on July 13 and was soon starting again. He was 3-1 with a 1.64 ERA over nine appearances this season. Otonari also got the start and threw six scoreless innings in Softbank’s final game of the season against the Orix Buffaloes. Softbank won that game to clinch the Pacific League pennant. “When I came back, I was embraced so warmly, and I’ve been pitching in appreciation of that,” Otonari said. Otonari has carried that form into the postseason, where he’s allowed just two runs in 21⅔ innings on the mound. 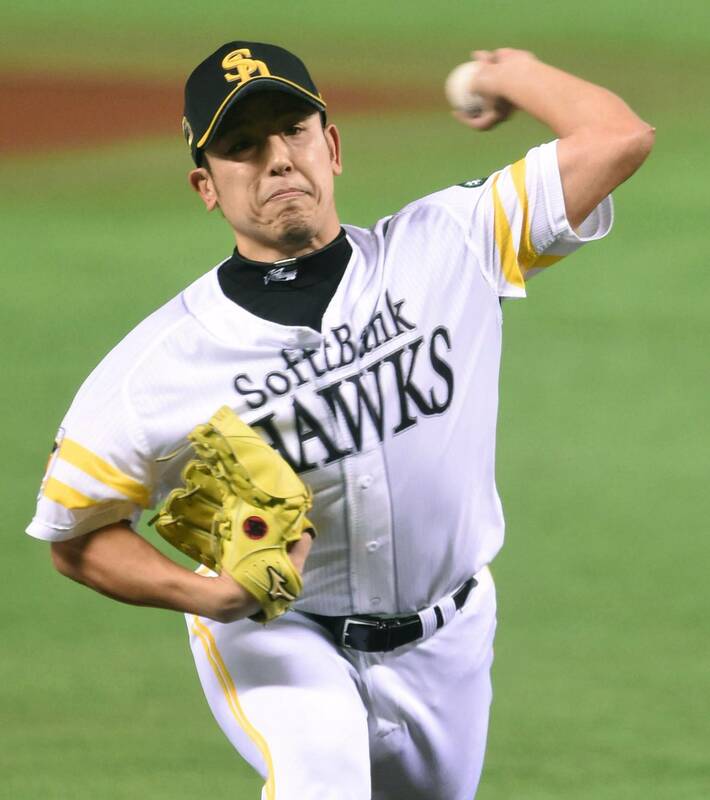 He turned in a solid start in the first game of the Pacific League Climax Series Final Stage and was the winner in the decisive sixth game on Oct. 20, throwing seven shutout innings against the Hokkaido Nippon Ham Fighters, to send the Hawks to the Japan Series. Tigers pitcher Shintaro Fujinami struggled with his command and took the loss after allowing three runs on seven hits in 5⅔ frames. The second-year hurler struck out six and walked two. The Hanshin batters were limited to four singles and a double in Game 3. The only run they put on the board came on an RBI single by Takashi Toritani in the ninth. Softbank didn’t waste any time in taking control of the game. Yanagita led off the bottom of the first with a double and moved to third on a sacrifice bunt. Uchikawa drove him in with a double, as Softbank went ahead 1-0 using almost the exact same formula it used in the first inning of Game 2. Hawks designated hitter Yuki Yoshimura drew a walk to begin the home half of the fourth and Kenta Imamiya bunted him on to second. Fujinami struck out Toru Hosokawa with a cut fastball, but the ball bounced past catcher Kazunari Tsuruoka and Yoshimura scored from second on the wild pitch. Uchikawa delivered again with two away in the sixth. He hit a grounder to third that was collected by Tsuyoshi Nishioka, who tried to get the out at second. Akashi beat the throw to the bag, which allowed the run to score and gave the Hawks a 3-0 lead. The next batter, Lee, deposited a ball into a deserted area in shallow center to put two more runs on the board. Softbank can win the series at home with two consecutive wins, but Akiyama, who will step down after the series, isn’t looking that far ahead yet.